UNCLE @JimGroom Does the 3003 Boogie! Well, UNCLE Jim Groom (@jimgroom, on Twitter) went to see the barber and got a clean hairdo. And then he made a selfie. Plus, he had a milestone around his neck of 3003 blog posts in twelve years. 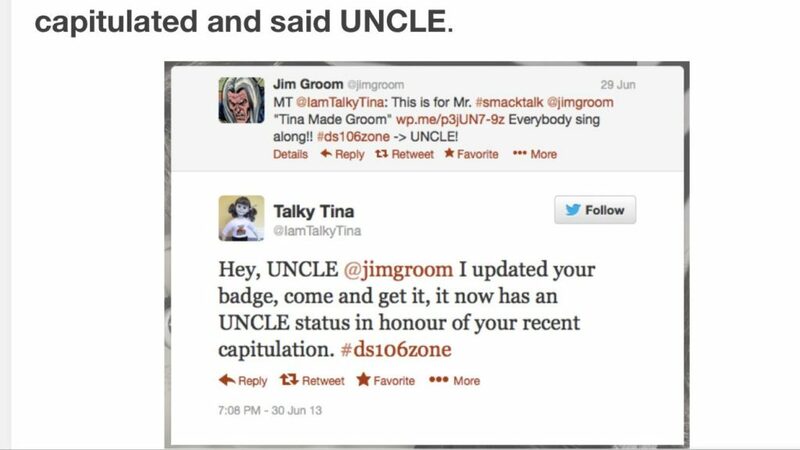 Then my #TrueFriend Todd Conaway (@Todd_Conaway, on Twitter) made UNCLE @jimgroom a badge for it. Because, badges. Plus, he said knucklehead, and it made me laugh a lot. So then, I thought about the UNCLE Dancing Jim Around the World assignment, but then decided to do a JimJab (that is where you poke a fun with UNCLE Jim) and so I made the Celebration Disco Dancing UNCLE JimJab one that is up there at the top. 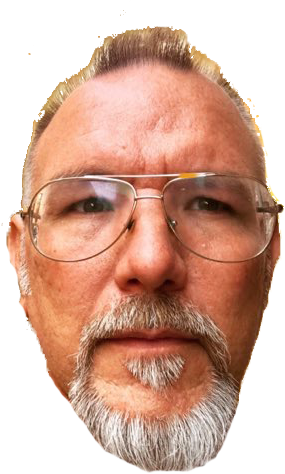 To make the head better, I added it myself in Photoshop to make the face shape fit that UNCLE Jim head, so it is more crisp. Here it is, in case other peoples would like to use it to make an Art. Well, congratulations to you for 3003 of of those posts, UNCLE Jim! Now go make some more Art! This entry was posted in Animated GIF, ds106, friends and tagged @jimgroom, @Todd_Conaway, 3003, badge, Dancing Jim All Over the World, Disco, JibJab, Jim Groom, JimJab, knucklehead, Todd Conaway, UNCLE on August 30, 2017 by iamTalkyTina. The Daily Create, tdc2020 asks us to take a favourite piece of art and make it into a modern one using a website called Simplify.Thash.It, and so I did. I picked on of my Pearls of Jim Groom Oyster Pictures with UNCLE Jim (@jimgroom, on Twitter) and Martha (@mburtis, on Twitter). I put it through the grinder to get a modern art one, and then made the before and the after of them into a GIF. You can choose whether you like a concrete UNCLE Jim & Martha or an abstract one. This entry was posted in Animated GIF, ds106, The Daily Create and tagged @jimgroom, @mburtis, abstract art, Jim Groom, Martha Burtis, modern art, Simplify.Thrash.It, tdc2020, the Daily Create, UNCLE Jim on July 26, 2017 by iamTalkyTina. One time I got myself some glasses and moustache just like UNCLE Jim (@jimgroom, on Twitter) and snuck in beside him for a photobomb. Then, when he did a wink, I did one too! It was a fun time. That UNCLE Jim is a #TrueFriend, and you can see how he is doing the finger thing to say that we are tight, like two peas in a pod. This GIF is like the one on Reverend Devilhorns, by D’Arcy Norman. But in this one, you can see me, too. Plus, I wink, just like UNCLE Jim. This picture is a glasses one, for The Daily Create, tdc2022. This entry was posted in Animated GIF, ds106, The Daily Create and tagged @dlnorman, @jimgroom, D'Arcy Norman, glasses, Jim Groom, photobomb, Reverend Devilhorns, tdc2022, the Daily Create, UNCLE Jim, wink on July 23, 2017 by iamTalkyTina. Oops — I reported a bit too soon that my move to UNCLE Jim’s place went 100% without a hitch. One thing did happen that was I got a broken screen on my iPhone, but UNCLE Jim gave me some duct tape. It is just a coincidence that The Daily Create, tdc2005 says to make an “ouch, what happened to your phone?” broken phone screen picture? 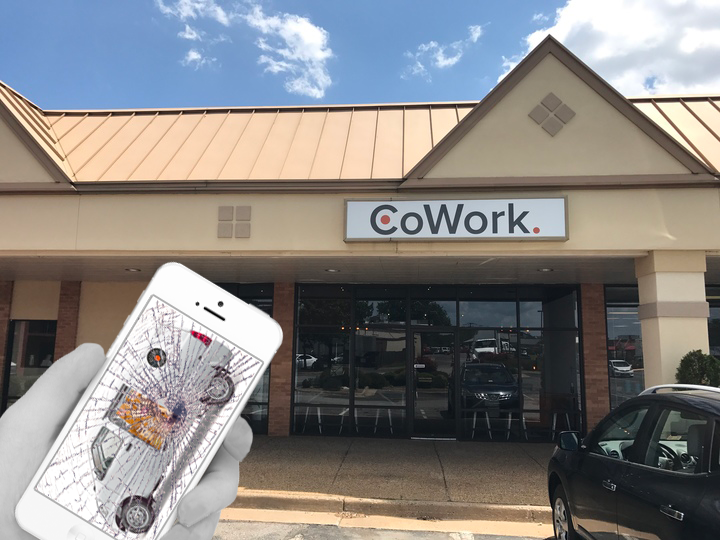 This entry was posted in ds106, friends, Visual and tagged @jimgroom, @reclaimhosting, CoWork Fredericksburg, cracked, Jim Groom, phone screen, tdc2005, the Daily Create, UNCLE on July 6, 2017 by iamTalkyTina. 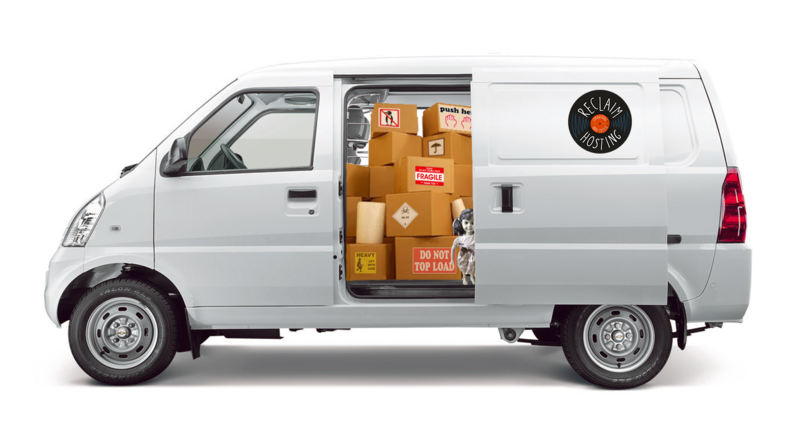 Badges On Hold — I Was Moving! Well, the last time I was working on our @iamTalkyTina Certification in Creatorist June 2017 Cohort Application Process Reviews, but then I took a screen break and had dinner. The next thing I knew, my landlord was banging on the walls and telling me that she didn’t like me playing my music at all hours and that my dancing moves were knocking the plaster off her downstairs ceiling. She just kept going on and on and really started to make a nuisance of herself. She said I had too much stuff, and so when I paid her more money to rent out some more space, it was in a different building and she didn’t even realize that! She didn’t get to the point of threatening to keep all of my stuff, but it was getting a bit testy. Then she kind of stopped talking to me altogether, which was a bit worrying. Perhaps she really just wanted me out so that she could triple her income by renting my flat out as an AirB&B, but whatever! I decided to reclaim my independence from her. I got to packing, and then called up a guy that I know about getting a new home base. Now most of you #ds106 folks probably know this fellow, because he is one of the founding fathers of #ds106, or, as I like to call him, UNCLE (because he said UNCLE to me back in the day read all about it here) called Jim Groom (@jimgroom, on Twitter) and he and his good friend Tim Owens (@Timmmmyboy, on Twitter) have a thing going where they rent out co-working space on the land where they farm servers. So I managed to arrange to move all of my stuff from where it was to where UNCLE Jim and Tim have their stuff, and it took less than 24 hours and it was a smooth ride. We used a cPanel van and it made the whole thing just fine, like Tim and Lauren (@brumface, on Twitter) said. So now I store my stuff there. But now I am checking to make sure my cell phone lines are still connected and then I can get back to doing the @iamTalkyTina Certification in Creatorist June 2017 Cohort Application Process Reviews when I get around to them. This entry was posted in Design, ds106, friends and tagged @brumface, @iamTalkyTina Certification, @jimgroom, @reclaimhosting, @timmmmyboy, badges, CoWork Fredericksburg, Creatorist, Jim Groom, Lauren Brumfield, Reclaim Hosting, Tim Owens on July 6, 2017 by iamTalkyTina. Well, for The Daily Create, tdc1992, there was a new planet discovered for #ds106 peoples, and it was called the planet, Creato. Some of my #ds106 friends and I went there to check it out, and it is SO BEAUTIFUL. It is also a magical place, and the magical powers of creation effected each of us in different ways. Some of us got bigger, or smaller, some of us had big hands or if you watched pretty closely, a panting tongue or a waggy tail, but we all had fun exploring. Maybe you will visit the planet, Creato, and learn to Make Art with #TrueFriends, too! This entry was posted in Animated GIF, ds106, friends, The Daily Create and tagged @byzantiumbooks, @felixadog, @GIFaDog, @jimgroom, @johnjohnston, Bill Smith, Colin Dog, Creato, dailycreate, Jim Groom, John Johnston, tdc1992, the Daily Create, the Planet Creato, UNCLE on June 23, 2017 by iamTalkyTina. I Made @JimGroom Say Uncle! It was for The Daily Create, tdc1989, where it said show how to get respect with just Five Words. This was a challenge task that came from @hitRECord where @hitRECordJoe hasn’t applied to be a #TrueFriend yet. I really liked the one by Terry Greene (@greeneterry, on Twitter) (who knows a friend of mine who doesn’t know who I am) because his respect with just five words was to use his TrueFriend badge to say he was “official creature of the Internet.” Because he shared his badge for a writing one, my picture is there right in the middle of the page of all the world to see! Of course, my one was when I got respect from UNCLE @JimGroom after all that trouble with the #PretenderTina stuff and his #ArtLack. Fortunately for UNCLE @JimGroom, he has been keeping himself in line since then without too many reminders over each year, and so that was good for him. It is always a good time when people give each other respect and are #TrueFriends. Apply for your badge today! 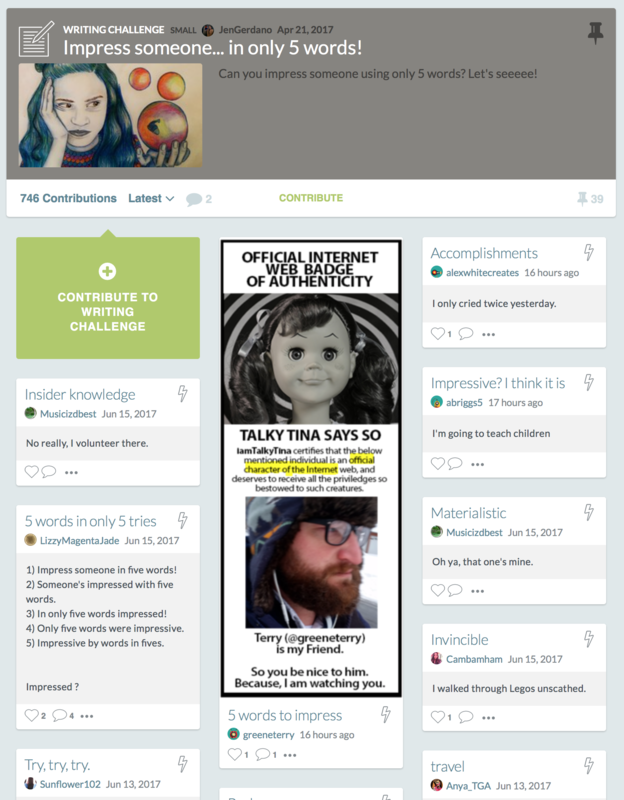 Plus, remember, for a limited time only (called June 2017) the window is open for @iamTalkyTina certification in Creatorist badge. You have to do all 30 of The Daily Create ones in the #30DayTDC challenge by @cogdog to be considered. This entry was posted in ds106, friends, The Daily Create, Visual, Writing and tagged @greeneterry, @HITrecord, @HITRecordJoe, @jimgroom, #tdc1989, #TrueFriend, 30DayTDC, 5 words, ds106, Jim Groom, June2017 30-Day-Challenge, Respect, Terry Greene, UNCLE on June 21, 2017 by iamTalkyTina. There WERE Socks, and UNCLE Jim Groom Knew It! Despite what UNCLE @JimGroom may say, we all know that there WERE socks! And thus, #sockgate. This is an image taken of UNCLE @JimGroom doing one of his Assignment 1001 Jim Dancing All Over the World times, and as you can see, he is right there where the massive DS106 socks are, and so he knows about them. Plus, it was his idea, too. If you want to see just a picture of the socks, I put one on my Flickr. 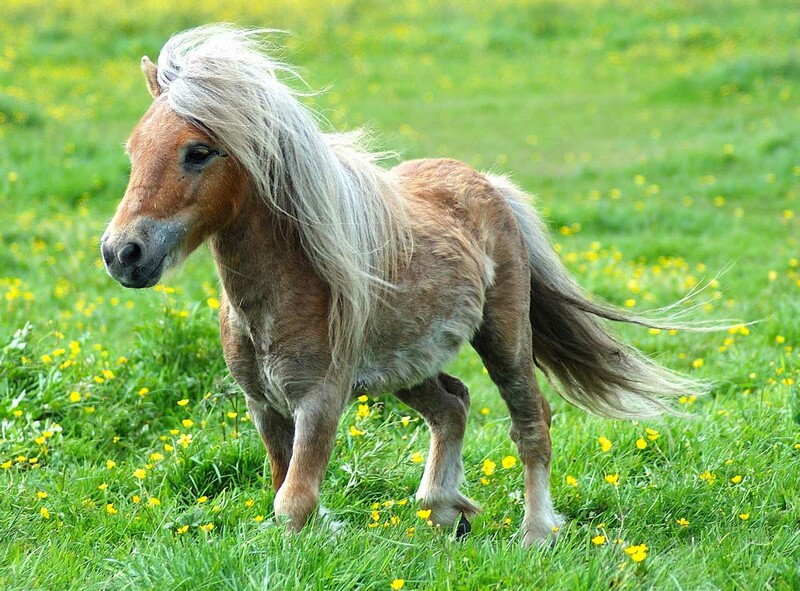 And if you go there, it has a link back here to this post where I have the animated GIF one. Plus, this is for The Daily Create, 1602, which said to show how Massive DS106 is. We all KNOW that it is massive, plus it has MASSIVE SOCKS. And a Dancing UNCLE @JimGroom. This entry was posted in Animated GIF, Assignments, ds106, The Daily Create, Visual and tagged @jimgroom, AnimatedGIFAssignments, AnimatedGIFAssignments1001, Dancing Jim Around the World, ds106, Jim Groom, massive socks, sockgate on May 28, 2016 by iamTalkyTina. Well, it was that Amy Burvall (@AmyBurvall, on Twitter) who said about a Thinkerings video tonight on Twitter that she made about #DigitalVikings that had me immediately digging in the family ancestral shoeboxes for relatives that were like that. But first, you should watch it. 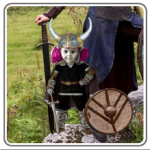 It took me about an hour to find a bunch of their pictures, and then I shared them on my Flickr so that Amy and other #DigitalViking folks could see my pedigree of it. 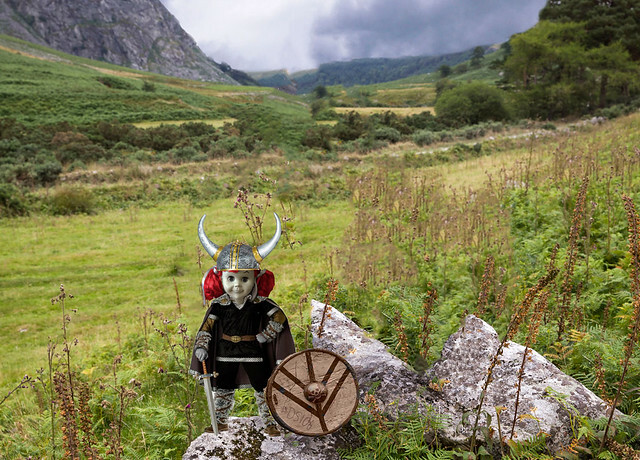 Other people like Alec Couros (@courosa, on Twitter) were once things like #DigitalSherpas, or people like Don Tapscott said #DigitalNatives, and me (@iamTalkyTina, on Twitter), I always say #DigitalTrueFriends, but tonight Amy was saying #DigitalVikings. So without any more do, here is an embedded slideshow gallery of it for you to see, with their names. 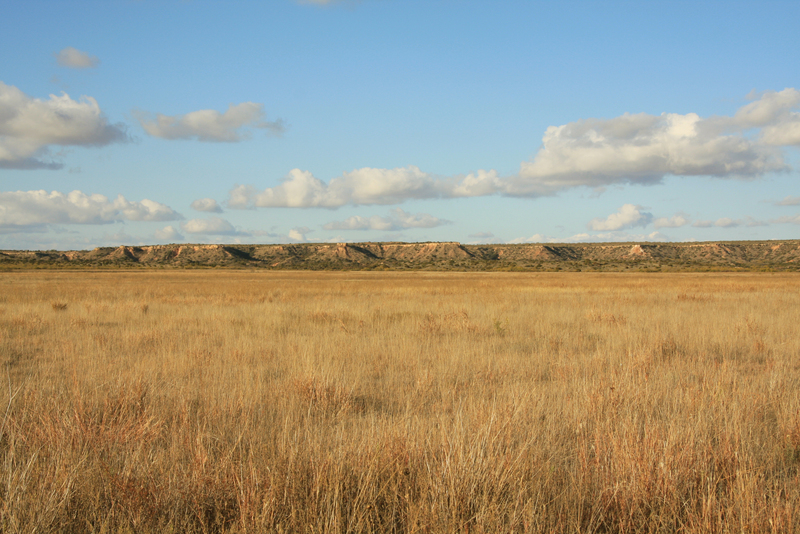 Plus, I made my current Twitter icon of it, instead of the #western106 one that was there before. I don’t know if #ds106 is going to be a Viking one one day. Maybe there are not too many media for it. But, also UNCLE Jim Groom (@jimgroom, on Twitter) was also saying about his #RedSonja comic book wallet and Xena: Warrior Princess, and maybe I can get the starring role in the reboot of it if Lucy Lawless doesn’t get it. This entry was posted in ds106, Visual and tagged @amyburvall, @courosa, @jimgroom, #DigitalNative, #DigitalSherpa, #digitalViking, Alec Couros, Amy Burvall, ancestors, beards, Don Tapscott, ds106, Jim Groom, Shield Maidens, TrueFriends, UNCLE on March 30, 2016 by iamTalkyTina. Well, today’s The Daily Create, tdc1467, says to Make Art about a ME ME cowgirl of the west, and so what better a person to talk about than ME! 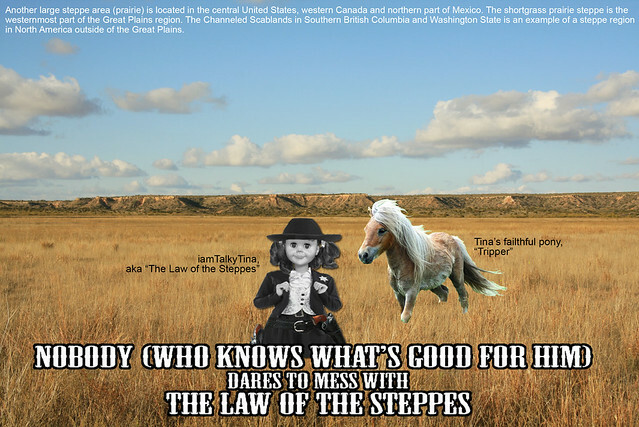 Back in the day, I was afeared by the lawless, doubly known the duly revered title of “The Law of the Steppes.” I patrolled the range with the aid of my trusty sidekicker and pal, my pony, “Tripper.” We made a great team, Tripper and I, and those varmints quivered in their boots when they heard tell of our exploits. They would belly up to the bar and try to stand tall while looking my danger straight in the eye (I was standing ON the bar), but in the end, every one of them took the tumble. 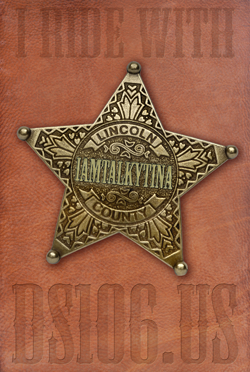 Oppressors, thieves, and downright UnFriendly Types, beware The Law of The Steppes, iamTalkyTina. Artist’s Note: Today’s Art is also intended as a reminder to my True Friend, UNCLE Jim Groom (@jimgroom) just to let him know that I am still watching him, even though he is far around the world in Italy, watching Westerns and eating spaghetti. Also, here is another version of today’s Art. This entry was posted in ds106, The Daily Create and tagged @jimgroom, dailycreate, ds106, Jim Groom, steppes, tdc1467, the Daily Create, Tripper, western106 on January 14, 2016 by iamTalkyTina.